A decade ago, on the eve of its 60th anniversary, the Institute of Contemporary Arts all but caved in. In the wake of the 2008 financial crisis, the gallery plunged £700,000 into the red. But for an emergency Arts Council grant of £1.2 million – a bailout, effectively – the ICA would have been forced to shut up shop. It survived, just, with a restructure. Staff costs were cut by well over half and a wealth of experience and expertise was lost in the process. The programme was pared right back, effectively letting audiences go too. Institutional austerity hit – and hit hard. It has taken the ICA 10 years to begin to find its feet again. This might look like ancient history – yesterday’s news – but with another recession reportedly on the horizon, if not this year then likely next, the ICA might offer a cautionary tale for arts organisations across the UK, theatres in particular. Since 2008, many have inadvertently followed the very model that led it to the brink of bankruptcy post-crash – one that supplanted subsidy with sponsorship and philanthropy. Should the economy take another such dive, would they survive without similar emergency support? At the time, ICA artistic director Ekow Eshun blamed the budgetary collapse on “a perfect storm of events that all came together”. The organisation was, to his mind, a victim of happenstance: collateral damage in a worldwide collapse. There is some truth in that, but under Eshun, the ICA had inadvertently placed itself in a position of peril. By swinging towards corporate sponsorship and cultural philanthropy – the sort of funding sources that hinge on market security – the ICA exposed itself to the risk of collapse. In just three years, the ICA’s income increased by 20%, surpassing £5 million in 2008. In that time, its sponsorship shot up: £306,000 in 2006, £970,000 in 2007 and £756,000 in 2008. Giving also rose: a celebrity gala auction brought in £126,000 one year and £180,000 the next. 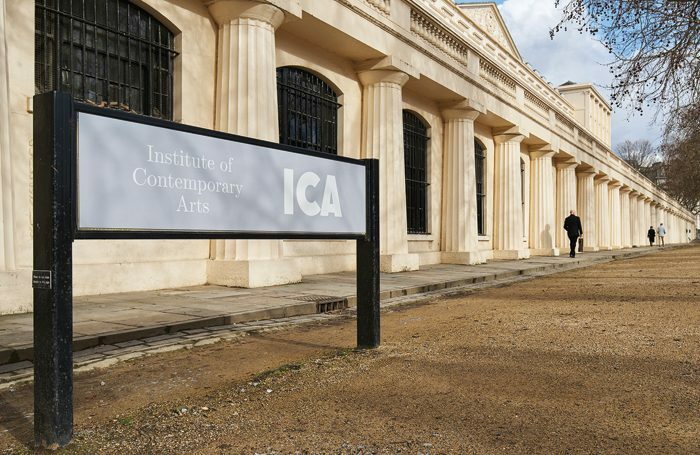 With such success, the ICA’s wage bill ballooned – more staff on more money to raise more sponsorship. But the 2008 financial crash did for that – and quickly. According to a post-mortem by Mute Magazine, funding seized up almost immediately after the recession bit: partners entered administration, still owing thousands; large-scale exhibitions failed to find sponsors and fundraising auctions fell far short of their targets. When the global economy tanked, the ICA very nearly went with it. When I read details of the ICA’s demise last year, it set alarm bells ringing straight away. With the nightly news bulletins warning about an impending recession – even before we’ve entirely recovered from the last one – I wondered whether British theatre as a whole could take the hit. It has, after all, followed in the ICA’s footsteps. This has been the decade of the development department. Austerity has been countered, in part, by philanthropy. As soon as George Osborne’s emergency budget imposed the first funding cuts back in 2010, his culture secretary Jeremy Hunt was touting philanthropy as an alternative. Many questioned the approach at the time – Britain has never had the giving culture of the US, and legacy endowments had diminished in the crash – but even if results weren’t immediate, Hunt’s philosophy of philanthropy has taken hold. Detailed breakdowns and exact comparisons are hard to come by, but by 2016, Britain’s theatres were benefiting from £75 million of private investment – behind only visual arts and music. In the previous three years, private investment across the arts had increased by 21%, with individual giving (including friend and membership schemes) showing the sharpest rise. Arts Council England’s report into donations and sponsorship in 2016 found that London organisations dominated, pulling in 66% of all such investment. Accordingly, London’s theatres are likely to be most at risk and, on an individual level, you can see the scale of their fund-raising hikes. The National Theatre, for example, has more than doubled such income. The £5 million it raised in 2007 had become £12 million last year, while the Almeida has enjoyed a 50% increase in the same time, up from £1.3 million to £1.97 million. The Young Vic’s fundraising has rocketed since the recession, from £800,000 in 2010 to £1.8 million today. Recessions, by their very nature, knock on. Crashes cause shockwaves and, as belts tighten, sponsorship and spending dries up. According to the National Council for Voluntary Organisations, charitable giving dropped by 11% across the UK in the wake of the 2008 crisis – a total of £700 million – though an Arts and Business report two years later found that individual giving to arts organisations only dropped by 7%. At the same time, however, its chief executive Colin Tweedy was predicting “a substantial drop in corporate sponsorship” post-crash – one the Young Vic certainly felt, missing targets and dropping £500,000 for several years. The Arts Council agreed with Tweedy’s take, warning of a drop of up to 20%. “The tap has turned off,” announced its director Alan Davey. In the event of a similar crash, British theatres would take a hit. Indeed, with Brexit on the horizon, several are already sensing a slowdown. One influential artistic director told me that membership at his theatre had noticeably begun to drop. Last year, the National lost its longest-standing sponsor, Travelex. It’s fair to assume other philanthropy would follow. However, while fundraising has surged since the last crash, British theatre has seen sizeable increases in turnover as a whole. Its growth has been rather balanced and, unlike the ICA was, it is not wholly dependent on sustained sponsorship. Fundraising at the National, for instance, accounts for 11% of income, as it did a decade ago, while the Almeida’s increased figures have decreased in importance proportionally. Equally, expenditure has been increased far more responsibly than it was at the ICA, meaning theatres are less likely to tailspin into instability. That’s not to say they won’t be affected by a new recession. Indeed, the decade’s funding cuts have lessened the safety net of subsidy, leaving organisations increasingly exposed to the economic climate. Theatres are already braced for a post-Brexit spending review that could exacerbate the situation. Should a recession kick in, it will be felt across the board – in box offices, commercial activities and development departments alike. But instead of plummeting drops, theatres would be likely to see slower declines.